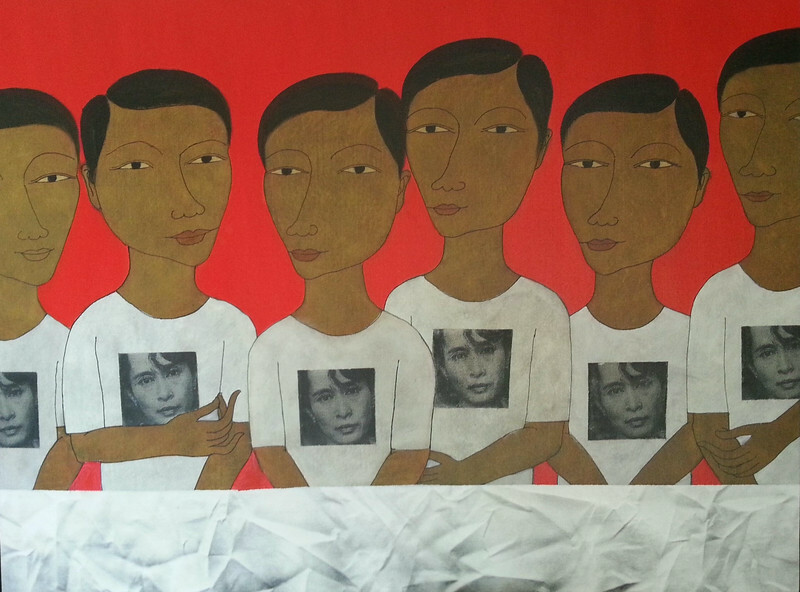 Min Zaw, Ordinary People (9). Acrylic on canvas, 2014. 50 X 36 in.